Summer is a golden time of year for school-aged students. Rather than fixed routines, homework and early mornings, many children enjoy a much more flexible schedule focused on fun. Yes, it’s a great break from the stress of the school year. As summer comes to a close, it’s time to start thinking about how you might prepare your child for a successful start to the school year. It’s far from ideal to go from your summer routine to a school routine overnight. The shock level would be too much for your child and the household in general! 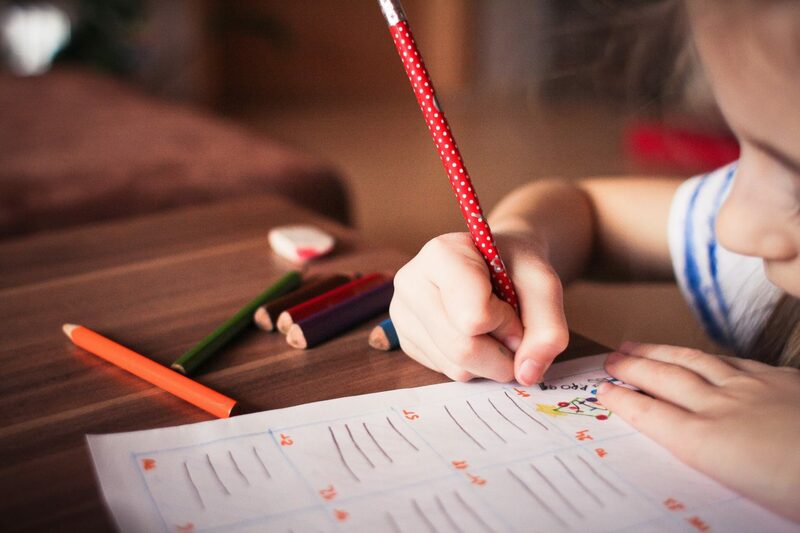 For kids from kindergarteners to high schoolers, breaking summer habits during the last few weeks of summer is one of the best ways to prepare for a good start to the school year. What should you focus on? With no alarms in the morning, there’s no reason for enforcing bedtime, right? This is the philosophy some families adopt in the summer. However, the school year is a different story. Your child needs a good night’s sleep in order to perform well and concentrate at school all day. That means that if you’ve been lax about bedtimes during the summer, it’s time to break this bad habit. A few weeks before school begins, start slowly moving the bedtime so that you’ll reach an ideal bedtime by the time school starts. How should you determine the best bedtime? Work backwards! Determine what time your child will need to get up in the morning to be ready for school and then count back the number of hours of sleep required to find the ideal bedtime. Your child’s ideal bedtime depends on their age and general sleep habits (some kids need more sleep than others). If you’re not sure how much sleep your child needs, check out the American Academy of Pediatrics’ recommendations about sleep hours for children and teenagers. If your kids have been enjoying free reign of the TV, tablets, computers and/or phones, it’s time to create some boundaries. During the school year, your child will have homework and possibly other activities such as sports or clubs. That means your child should get used to a routine that doesn’t include unlimited amounts of screen time. By implementing some limits towards the end of summer, you can make sure your kids are ready and on track for the school year. If your child continues to rely on electronics heavily, it will be more difficult to stay focused on school work and other pursuits. However, if your child is already used to limited screen time, it won’t feel so hard to continue to do so when school starts. Have you ever tried to work in a messy environment? No matter how hard you try to concentrate, you find yourself struggling to focus. A disorganized environment can be distracting. If your child has become messier over the summer, start implementing a weekly cleaning routine. For example, Saturday morning could be designated “clean your bedroom time”. This will help your child stay organized and avoid losing important schoolwork during the school year. Summertime may mean indulging more in ice cream, chips and hamburgers. Start shifting your family’s eating habits by offering more healthy snacks. Not sure what to offer? Try some of these no-nonsense healthy snacks that are also kid-approved. Remember, you can use Picniic’s recipe feature to find and store your favorite recipes. A healthier diet means your child will have the energy and brain food to focus while at school. Of course, healthy eating is also generally good as a life habit. Use the quickly approaching start of school as an excuse for everyone to start choosing healthier snacks. A summer day for a child might involve waking up at 9:30 am, eating a light breakfast, watching some cartoons, eating a snack, playing outside, eating a late lunch and then playing video games for the better part of the afternoon. The next day, it might be completely different and involve a trip to the swimming pool and staying up until 11 pm. So, if zero routine is a habit your kids have developed this summer, it’s time to break it. How? Start with a bedtime and wake-up time. You can slowly implement these times over a few weeks, moving the times a little bit each day so that your kids can adjust. Then, implement some basic routines for the days. You might want to include some activities outside the house like trips to the library or the park so your kids get back into the habit of eating breakfast and heading out the door. You can also implement reading time, quiet time, chores or make time for tasks such as putting summer clothes away and digging out school clothes. This structure will help prepare your child for school. In the summertime, your child may stop changing clothes altogether! After all, why bother if it’s hot and you can lounge around all day at home? Break this habit during the last few weeks of summer so that your child automatically wakes up and gets dressed. You can also encourage your child to lay out clothes the night before, which is a strategy that you may like to keep using during the school year. Has your child given up all things academic? If you haven’t kept up with summer reading, mental math, science experiments or anything academically related, it’s time to get back in gear. This can mean that you simply start bringing academics back to the picture. For instance, you might have your child perform mental math by helping you double a recipe. Or see how close they can get to guessing the grocery bill. You can make time for reading together or encourage your child to research a few experiments they’d like to try before the end of summer (even making slime can be educational!). These small moves towards academic thinking will get your child back into “school mode”. The switch between summer and the school year isn’t an easy one, but you can make the transition a bit smoother by breaking the above habits ahead of time. This way, your child’s habits and mind will be focused on the upcoming school year, rather than stuck in the summer.